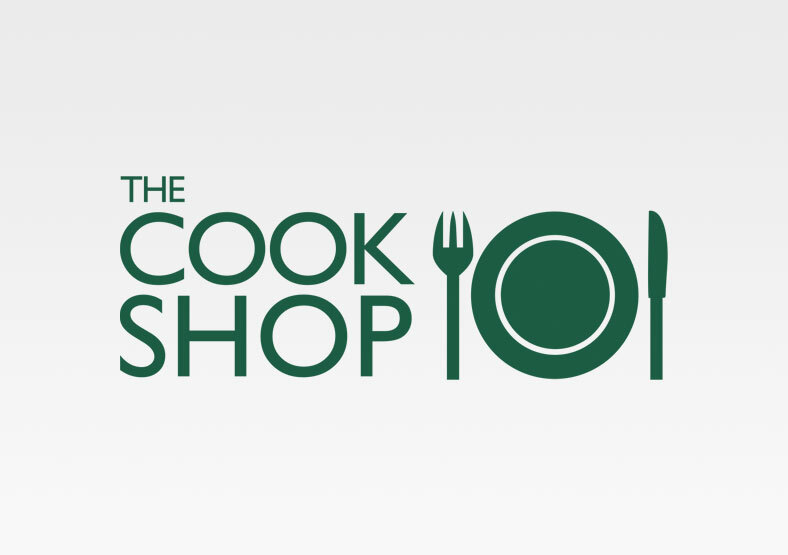 The Cook Shop has had a strong presence on the high street for nearly 20 years, with a loyal customer base. Public built on this reputation by modernising the Cook Shop brand with a fresh new logo. 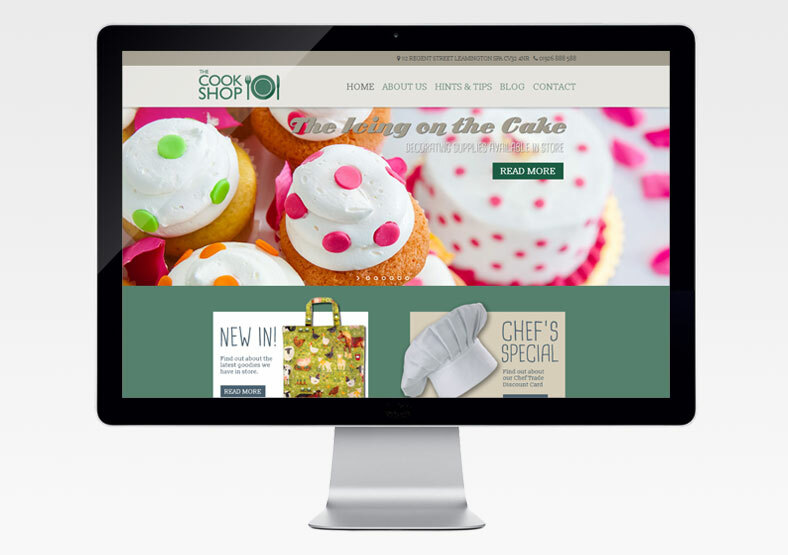 We also designed and built the Cook Shop's first website in 2009. 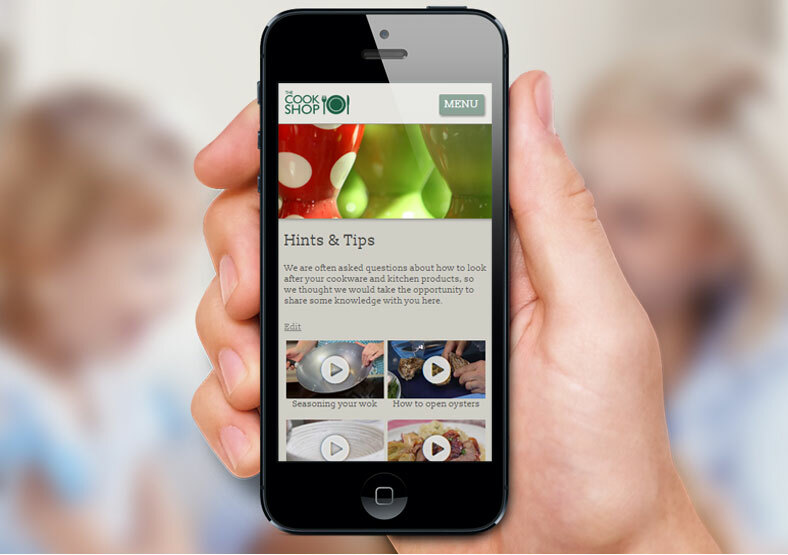 The original website generated new business for the Cook Shop by increasing brand awareness and acting as a 'shop window' for their many products. 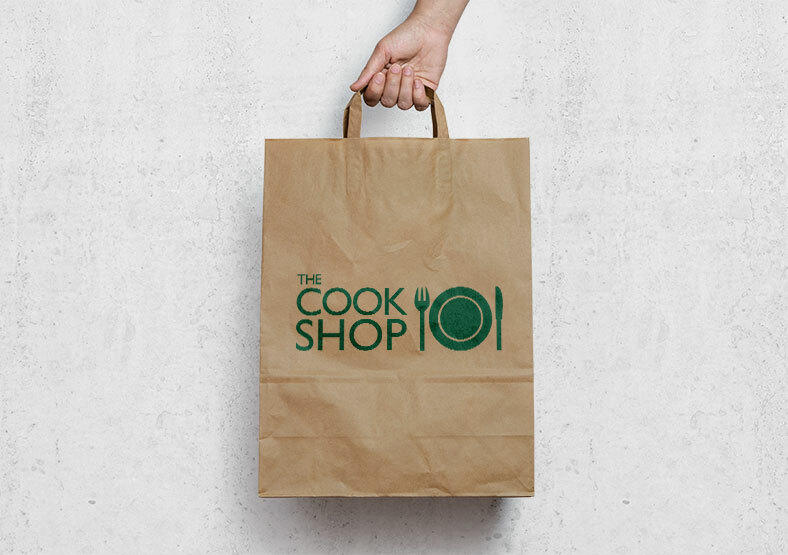 When the time came for a website refresh, the Cook Shop came back to us. 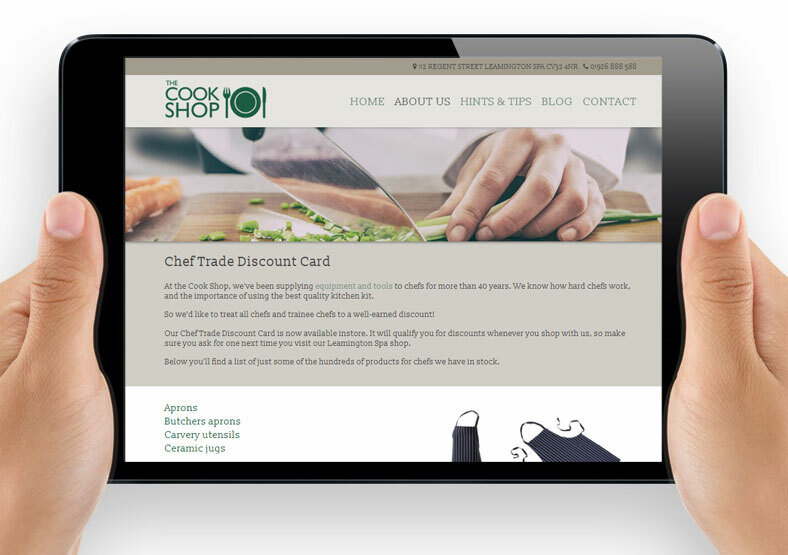 We designed and built a new site using WordPress, meaning that the Cook Shop staff can update their own website pages at any time. The site reflects the shop's character, helpful staff and 'Aladdin's Cave' interior! We built the website to be responsive (optimised for mobile devices), so it can be easily viewed on tablets and smartphones. In addition we wrote the first blog posts and provide ongoing copywriting for other pages on the website.